This is a packaging project for the Kickstarter based company Candylab Toys. These wooden cars combine modern design with the glamorous mid-century muscle car aesthetic, with the goal of creating something simple and durable. The use of illustration is a play on how toys were made to stimulate the imagination and creativity of children, allowing them to create their own stories. 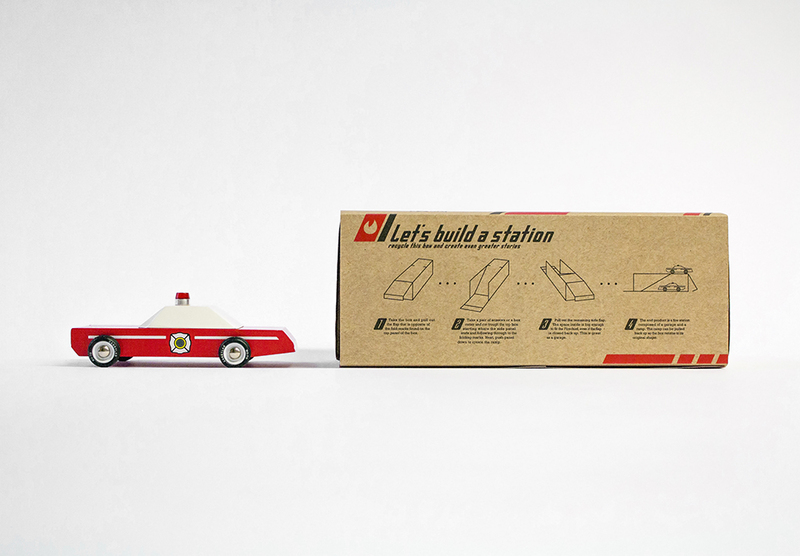 To push this idea further while fomenting recycling, I designed the boxes to become an extension of the brand by transforming them into racing tracks, ramps, and garages through simple instructions on the back of the package.